Окаменелость / Палеонтология как Хобби. / Ваше Хобби Good Hobby. Античные монеты. Фото галерея. Новости. Магазин. Коллекция. 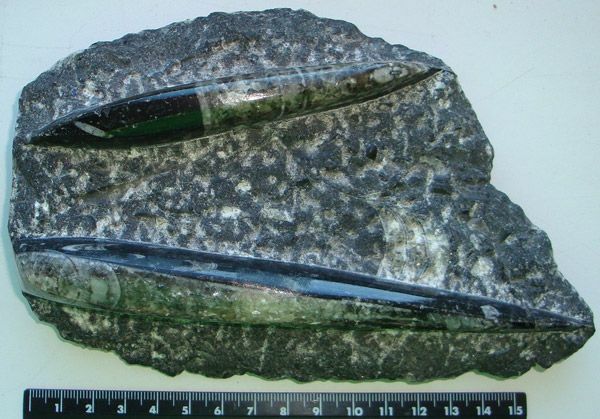 Excellent Double Orthoceras Specimen - Devonian Period 350 mya. An extinct nautiloid, ancestor of the modern squid. From the Sahara Desert, Morocco. Excellent piece with 2 large, clear specimens. Size of specimen is 7 inches x 5 inches. Specimens are 6 1/2 inches and 4 3/4 inches. Excellent specimen.